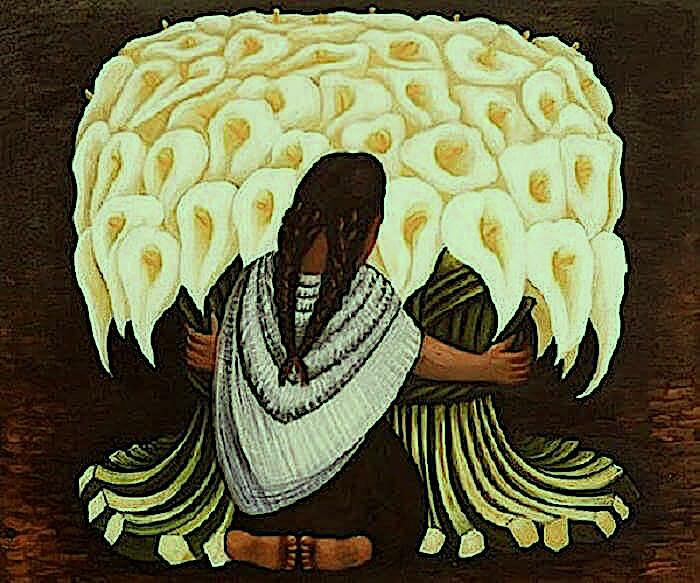 Diego Rivera, a memorable figure in 20th century art, actively painted during the 50 years from 1907 to 1957. Mexican by birth, Rivera spent a good portion of his adult life in Europe and the United States as well as in his home in Mexico City. Early in his career, he dabbled in Cubism and later embraced Post-Impressionism, but his unique style and perspective is immediately recognizable as his own. He was involved in the world of politics as a dedicated Marxist and joined the Mexican Communist Party in 1922. He hosted Russian exile Leon Trotsky and his wife at his home in Mexico City in the 1930s. 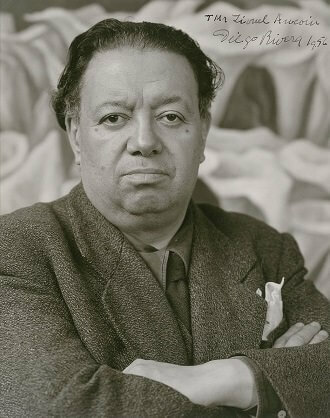 Lived in unsettled times and led a turbulent life, Diego Rivera, widely known for his Marxist leanings, along with Marxism Revolutionary Che Guevara and a small band of contemporary figures, has become a countercultural symbol of 20th century, and created a legacy in art that continue to inspire the imagination and mind. The artist and his twin brother were born in 1886 in Guanajuato, Mexico. His twin died at the age of two, and the family moved to Mexico City shortly thereafter. His parents encouraged Diego's artistic talent, enrolling him in the San Carlos Academy of Fine Arts when he was approximately 12 years old. There, he studied traditional painting and sculpting techniques under the tutelage of a largely conservative faculty. Gerado Murillo was among his fellow students at the academy, an artist who would become a driving force behind the Mexican Mural Movement in the early 20th century, in which Rivera took part. In 1905, the two students joined a group of other up-and-coming artists in an exhibition organized by the editors of Savia Moderna magazine. Rivera completed his studies in 1905, and the following year, he exhibited more than two dozen paintings at the annual San Carlos Academy art show. One of his works from this time, "La Era," or "The Threshing," displays elements of Impressionism in the play of light and shadow and the artist's distinctive use of color. In 1907, Rivera received a government sponsorship to study in Europe. The artist's first stop was Madrid, where he studied with Realist painter Eduardo Chicharro Aguera at the San Fernando Royal Academy. There, Rivera created paintings like "Night Scene in Avila," a work containing elements of Realism and Impressionism. At Madrid's Prada Museum, he familiarized himself with the paintings of such Spanish masters as El Greco, Francisco Goya and Diego Velazquez, all of whom would influence his artistic development. From Madrid, he moved to Paris where he lived off and on for several years among other artists in the Montparnasse community, including Amedeo Modigliani and his wife, artist Jeanne Hebuterne. Rivera showed six paintings in the 1910 exhibit sponsored by The Society of Independent Artists in Paris, including the realistic portrait, "Head of a Breton Woman." Other works the artists completed during this time, including "Breton Girl" and "House Over the Bridge," evidence an Impressionistic focus on the transformative power of light. However, when Rivera returned to Paris after a brief visit to Mexico, his style underwent a significant shift toward Cubism, which was enjoying its heyday in Europe during the second decade of the 20th century. The Cubists sought to portray multiple dimensions of a single subject through the use of geometric forms or intersecting planes. Under the influence of Pablo Picasso and the recently deceased Paul Cezanne, Rivera's paintings became progressively more abstract. View of Toledo from 1912 contains both recognizable buildings and Cubist elements in the landscape while "Portrait of Oscar Miestchaninoff" from the following year clearly illustrates the Cubist influence on Rivera's style. By 1913, the artists had fully embraced Cubism in his art, as evidenced by such works as "Woman at a Well" and Sailor at Breakfast. He submitted works to the Salon d'Automne exhibit where the likes of Picasso, Marcel Duchamp and Andre Lhote had shown their work over the previous years, attracting both negative reactions and the positive attention of the art community. Motherhood: Angelina and the Child from 1916 is among Rivera's last purely Cubist paintings. His artistic development headed in a fresh direction as the artist focused on recent political events such as the Mexican Revolution and the Russian Revolution of 1917, bringing his ideological views to the forefront. 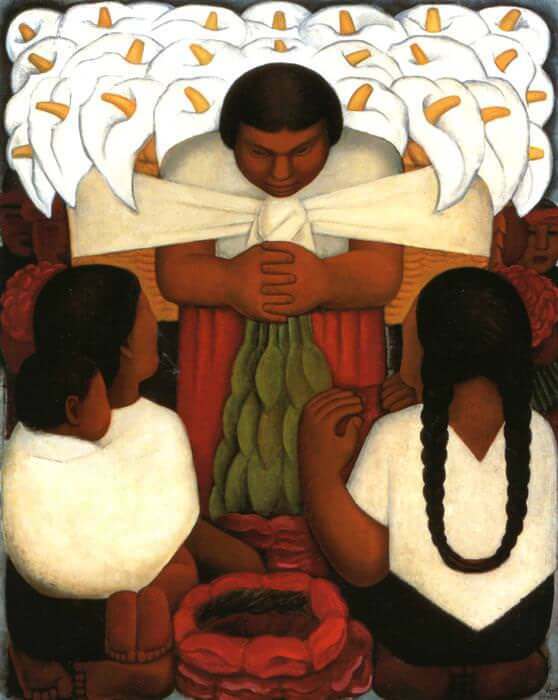 His paintings began to portray the working class combined with elements of his Mexican heritage. A trip through Italy in 1920 had piqued the artist's interest in Renaissance frescoes, and when he returned to Mexico the following year, he became involved in mural painting. Rivera joined a group of artists, including muralist Jose Clemente Orozco and Mexican realist David Alfaro Siqueiros, in a government-sponsored mural program. Rivera's first foray into the genre, Creation, which he painted on a wall in the National Preparatory School auditorium in Mexico City, depicts a heavenly host with Renaissance haloes. The artist also joined the Mexican Communist Society during that first year of his repatriation. He founded the Revolutionary Union of Technical Workers, Painters and Sculptors as well. 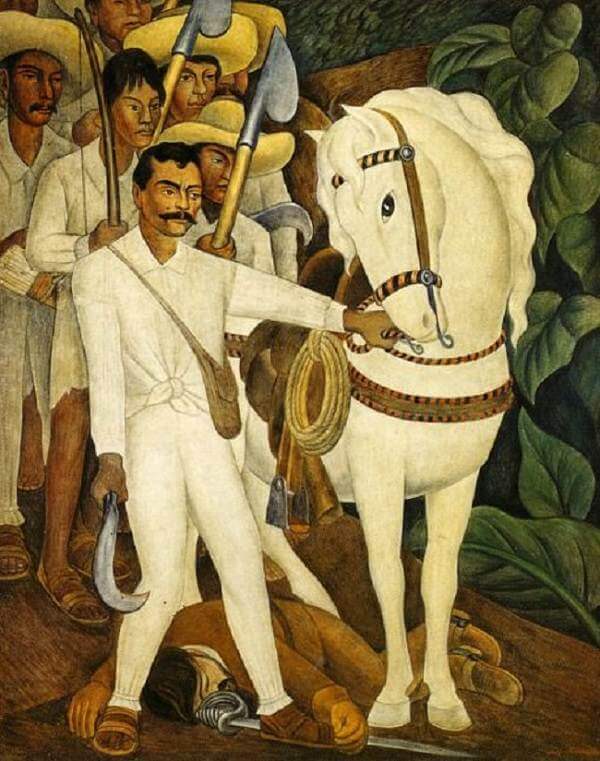 He began a series of frescoes later in 1922 that focused on Mexican society and the country's revolutionary past, entitled "Ballad of the Proletarian Revolution," that he would not complete until 1928. The finished work, consisting of over 120 frescoes covering more than 5,200 square feet, is installed in Mexico City's Secretariat of Public Education building. 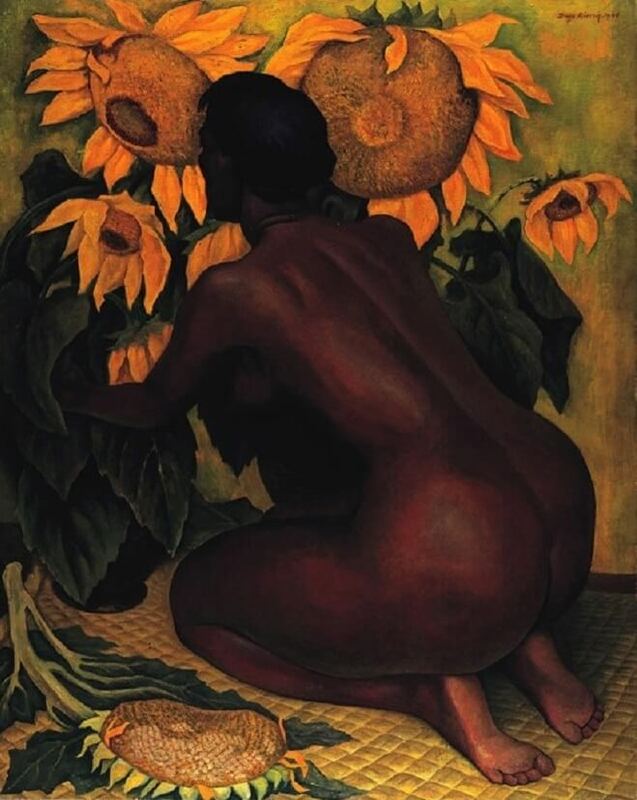 By now the artist was well into his 30s, and the Diego Rivera painting style had come into its own, featuring large figures with simplified lines and rich colors. Many of his scenes tell the stories of workers such as miners, farmers, industrial laborers and peasants. 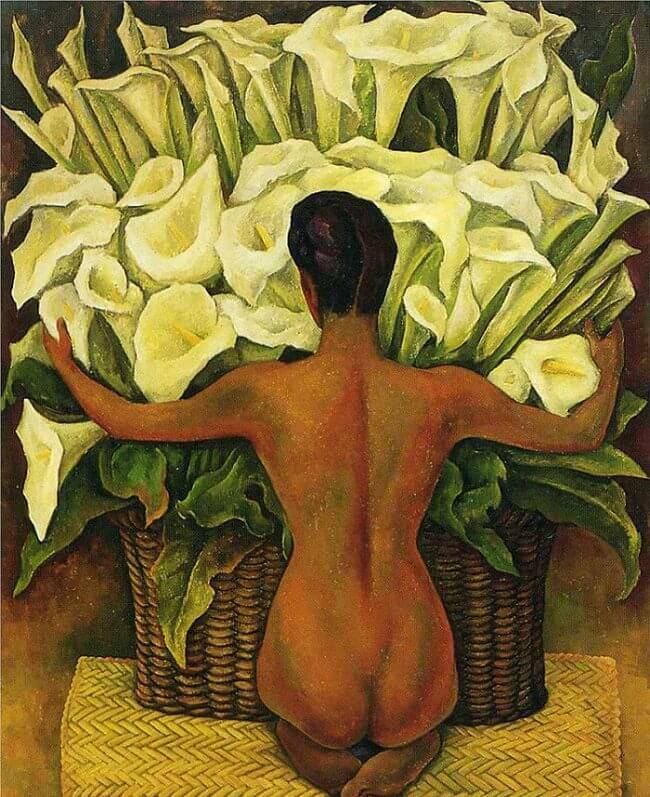 His paintings of flower sellers with calla lilies are among his best known. Some frescos show festivals, such as "The Day of the Dead" and "The Maize Festival" from 1924. At this time, Rivera began work on a mural for the National School of Agriculture in Chapingo, Mexico, which he entitled, "The Liberated Earth with Natural Forces Controlled by Man." The artist took part in a delegation to the Soviet Union in 1927 to celebrate the 10-year anniversary of the October Revolution. While in Moscow, Rivera met Alfred H. Barr, Jr., who would become a friend and patron as well as the director of the Museum of Modern Art. Following his return to Mexico City, Rivera divorced his first wife, Lupe Marin, and married fellow Mexican artist Frida Kahlo. He also began work on a commissioned series of murals for the Palace of Cortez in Cuernavaca. 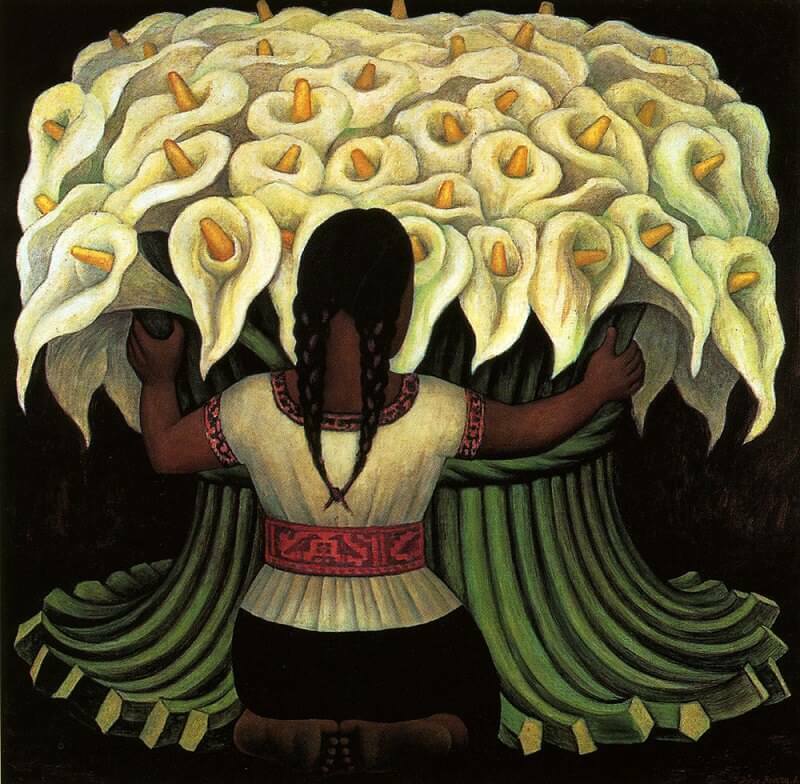 His fame grew in North America as "The Frescoes of Diego Rivera" came out in New York City. American architect Timothy Pflueger brought the artist to San Francisco with the offer of some commissions. Rivera's trip to California coincided with the first major showing of his work in the United States. Rivera painted three murals in San Francisco from 1930 to 1931. One of these, located in the Pacific Stock Exchange building, is titled "The Allegory of California." This work centers around an oversized female figure representing California and features several workers plying their trades. "The Making of a Fresco Showing the Building of a City" is the title of the mural he painted for the San Francisco School of Fine Arts, which features an open building with several rooms, each filled with people working on various tasks. The artist painted a third mural, "Pan American Unity," now located in San Francisco's Diego Rivera Theater. It is an epic undertaking of five frescoes. In 1932, the artist and his wife headed east where a commission awaited at the Detroit Institute of Arts. There, he produced 27 panels collectively known as the "Detroit Industry Murals," depicting the evolution of the Ford Motor Company. 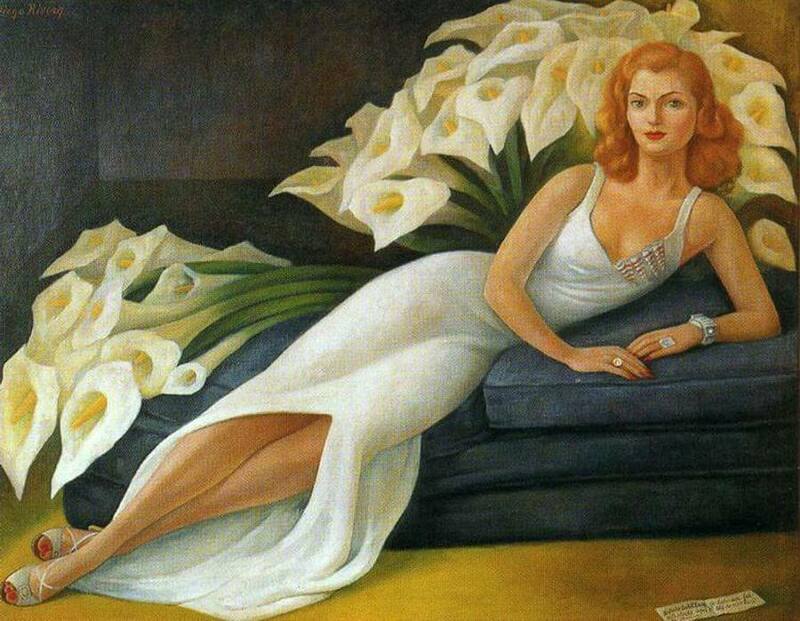 Rivera considered this series, which he completed in 1933 with the help of assistants, to be one of his most successful projects. His next undertaking would prove to be his most notorious failure. Commissioned to paint a mural for the Rockefeller Center in New York, the artist began work on Man at the Crossroads. A figure stood at the center of the main fresco, and in the various sections surrounding him appeared scenes from science, industry, politics and history. To the right and left of center, giant statues of Jupiter and Caesar loomed. The Rockefellers took exception to the inclusion of Lenin in the mural. When Rivera refused to remove him, they cancelled further work and had the mural destroyed. Afterward, the artist would recreate the scene on a smaller scale in the Palace of Fine Arts upon his return to Mexico City, using photographs of the mural as a guide. He traveled once more to San Francisco to paint ten murals for the Golden Gate International Exposition of 1940, and then completed various commissions in his native country over the course of the next few years. In 1949, Rivera enjoyed an anniversary exhibition celebrating 50 years of his work at Mexico City's Museum of the Palace of Fine Arts. Frida Kahlo died in 1954, and following year, Rivera married his third wife, Emma Hurtado. One year later, the entire country of Mexico observed the artist's 70th birthday. Rivera died of heart disease in 1957. During his lifetime, Rivera set an example as a community member who used his talents to tell the stories of the working class. His work helped to inspire such programs as U.S. President Roosevelt's Federal Art Project, which employed artists to paint scenes of everyday life on the sides of buildings. His work also influenced such later painters as muralists Ben Shahn and Thomas Hart Benton as well as Abstract Impressionist Jackson Pollock. 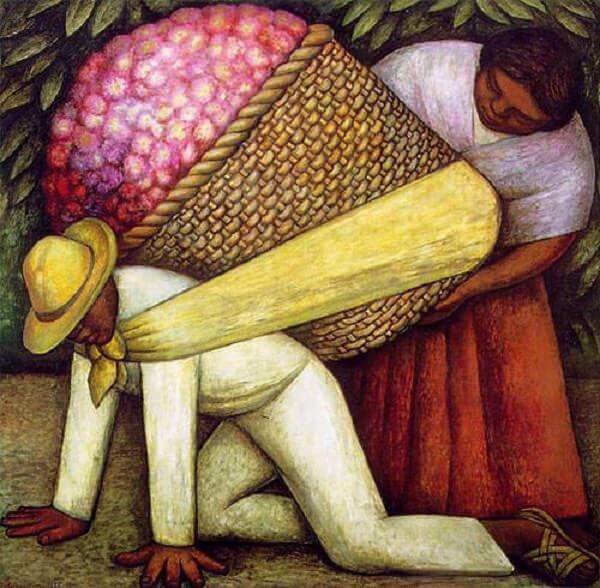 Additionally, and perhaps most importantly, Diego Rivera took art out of the gallery and into the public domain so that more people could enjoy and appreciate its beauty. Copyright © 2010-Present www.DiegoRivera.org. All Rights Reserved.